As geeks, we don't just want details, we need them. 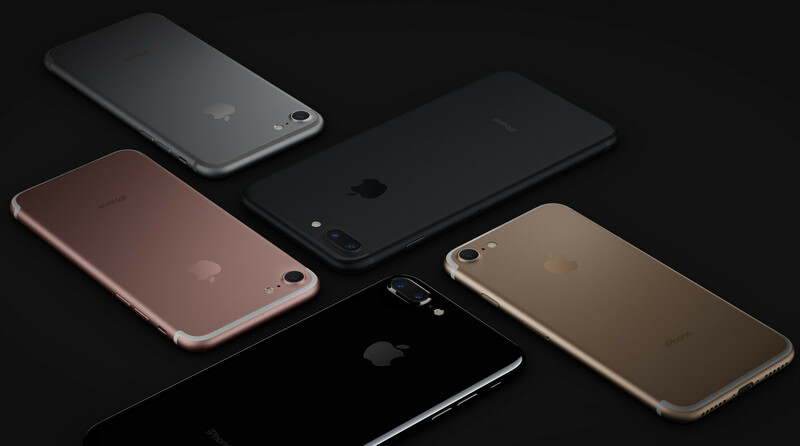 Apple's unveiling of the iPhone 7 and iPhone 7 Plus brought plenty of info on the features, but lacked the typical specs sheet dished out by many Android OEMs. Schiller and Co. waxed poetic about the might of the new A10 Fusion processor, but how much RAM do we get with that? Such a question has already been answered and as we continue to fill in the blanks, we now know precise capacities of the batteries for both models. We learned during last week's event that the iPhone 7 and 7 Plus should both run for slightly longer than their respective predecessors. Apple has said that the aforementioned new SoC is more efficient, which, along with software optimizations, should help the new iPhones to stretch farther in terms of usage. But there has also been a respectable bump in raw capacity. The 1750 mAh battery of the iPhone 6s has been replaced by a 1960 mAh effort, while the 2750 mAh iPhone 6s Plus battery gets a welcome bump to 2900 mAh with the iPhone 7 Plus. While a sub-2000 mAh battery is virtually unheard of in the flagship space, Apple's products clearly benefit from the fact that everything is built in-house. The software is crafted specifically around the hardware and vice-versa, meaning that even with smaller batteries inside, the iPhones can still hold their own against competitors. Fun fact: last year's iPhone 6s and iPhone 6s Plus brought lower-capacity batteries compared with the iPhone 6 and 6 Plus. Additionally, while the iPhone 7's juice pack offers higher capacity than any regular-sized iPhone to date, the iPhone 7 Plus' 2,900 mAh battery is slightly smaller than that of the two-year-old iPhone 6 Plus (2910 mAh). We'll have to wait and see whether Apple's claims of improved longevity hold up when we carry out our own tests. With the quad-core A10 Fusion's two "high-efficiency" cores and more physical battery on board, though, prospective iPhone 7 and 7 Plus owners can safely expect a reasonable jump in mileage. My little iPhone SE is just a beast when it comes to battery. I decided to return one of those mophie cases I got on the cheap because the battery life is so go. And because the battery capacity is small the phone charges up in no time. When I get my iPhone 7 Plus either Friday or next week (don't let me down Verizon) it will be a nice comparison to see which one last longer. I will be checking performance in comparison to my op3!! True. Stand by time is just awesome. Even after 12 hours not even a single drop in battery percentage. You say you get awesome battery life from your sub-2000mAh battery? Fine. But what if Apple puts a 3200mAh battery in the iPhone7, won't it double your battery life? But you iFans downplay the convenience of having large-capacity batteries, by bragging about "awesome" battery life with your sub-2000mAh in the 4.7 iPhone, as if 3200mAh is useless or never needed. Dude, I'm not bashing, but you're starting to sound like Techie right now. Go lay down. Get some sleep, and return to the realm of the coherent. They won't, they pretend to have great battery life here but are constantly attached to walls in real life. An amazing 12% and 5% increase in battery capacity for the 7 and plus is what the headphone jack removal was worth where as all S6 owners got that without compromise in the S7. Also, consider the following in defense of great iPhone battery life: https://www.youtube.com/watch?v=Czofcz7e0sI https://www.youtube.com/watch?v=073f1xGhqbo Bonus gaming tests: https://www.youtube.com/watch?v=1YFXN4SQtKY https://www.youtube.com/watch?v=ROHctDywyaQ Notice how the iPhones do okay in these tests due to their pathetic resolution. The GPU is probably sitting idle allowing iPhone users to still not stay in league with the Android phones. I wonder why all those extra optimizations the iFans keep imagining don't seem to materialize in objective tests? I guess standby time must still be great, and iFans would know because what else can you do with an iPhone other than keep it off. I sure "pretend" that my 6S Plus has better battery life than my Note5 and S7 Edge have. Blah blah optimization spec sheets benchmarks OC MHz FTW Edition. Customers that will be buying these devices by the millions don't give 2 firm poops about all that mess. Seriously. Speaking of firm poop bro, you need to ease up on the Applaxitives. That amount of verbal and intellectual diarrhea is dangerous. @sgtdisturbed47 Who should I believe? You or credible sites like GSMArena? According to GSMArena, the S7 Edge scores 98hrs, and the iPhone 6S Plus scores 85hrs. And that's the S7 with a better battery life than 6S+, despite having 80% higher screen resolution! You know what they say? if you say something numerous times, it might become true. You are also confusing standby times, with active use, this is how apple myths are created, from n00bs like you. Bro I do not know which iPhone you are talking about which is constantly attached to the wall charger. Maybe iPhone 5s or before that when every mobile had some battery issue whether android or iOS. If you look at the phone arena review of Galaxy s7, s6, iPhone 6s you would see that 6s has much better screen on time than both s7 and s6. http://www.phonearena.com/reviews/Samsung-Galaxy-S7-Review_id4165/page/4 And you say that iOS GPU is not in league with android world. You can say these jokes on 1st April and we will believe you. I don't think you understand, but the "in league" was in regards to battery life. The GPU comment was to say that the GPU is probably idling and STILL the battery life is meh or bad. Also, "iOS" GPU is still behind "Android" GPU, when it comes to SD820 so that statement is still true. Also, PhoneArena uses a script which they haven't exactly shown running on video like the links I provided, so that could be a number they pulled out of their a$$ for all its worth. You also have the iPhone losing in PhoneArena reviews for the most part. I accept that s7 outperforms 6s in many features . But I do not know from where you put it in. We were primarily discussing about battery life. Secondly adreno 530 is no doubt very powerful but it's real competitor is A10 GPU . Sd 810 's Adreno 430 does not stand any chance against A9 GPU. So unless and until we see the performance of A10 you cannot declare the verdict in favour Adreno 530. That great old argument - then when performance in mentioned you'll bring up another variant, then various other Android devices that all do something an iPhone doesn't as if they're all the same phone... Since that's how people like to be here it's a shame the Samsung Galaxy line aren't properly waterproof (Active) and keep blowing up (Note 7). Works both ways. he doesn't sound like me. Stop bring my name up. If you arent directly addressing me, then keep my name out of your conversation. Stand up on your own pathetic feet and address the issue being present to you. Typical. Bring a gun to a gun fight so you can fight. Not everything is a bloody war, American... It's just a discussion... About Smartphones, if you hadn't noticed... Gun to a gun fight, Ha! No actually he has a valid point. If Apple weren't so focused on how thin their devices are, they could put a larger capacity battery in there. That, in concert with the battery efficiency they have would equal even more battery life on a charge. It's funny, everyone is so hung up on how smartwatches only get a day on a charge, but have no issues with their smartphones only making it one day. If these companies really want to give us the next big thing for smartphones, how about a phone that can consistently do 2 days on a charge? Not best case scenario and just barely making 2 days, regularly getting 2 days and maybe a few hours past the 2 day mark. There isn't much that separates these phones any longer, they've pretty much peaked and are even. But no one seems to want to focus on battery life. If it gets you through one day or close to it, they're happy with that. Obviously you missed the part where numbers don't mean s**t when it comes to iOS. The 6S Plus was one of the best smartphones when it comes to battery life, when it had an atleast %20 smaller battery than it's competitors. Same goes to their SoC and ram, they will offer half of that of the Android flagships, yet deliver much better performances. Apple don't need to go into spec wars, they proved they don't need to put the craziest specs out there to deliver top notch performances. The only 2 areas I feel the iPhone could've improved on, are screen resolution and quick charging. @maherk, I'm talking about battery life here! The other "crazy" specs may not be needed by Apple to offer great performances. But battery life is an exception: the bigger the capacity, the better. Quote: "The 6S Plus was one of the best smartphones when it comes to battery life"... OK. But if the 6S Plus had a 3500mAh battery (like the Android competition) wouldn't it have further increased it's battery life performance? If it had 3500 mAh battery, it will explode baby. Is it really you, Maherk...?! I'm surprised...! Tell you what, my Nokia 103 that cost me $25 can last a WHOLE WEEK on full charge... Pop the hood and you'll see a 700mAh Cell... That's EXACTLY what iPhones are about... Efficiency than raw hardware muscle... Ever wondered why a Porsche fly with a 3.6L 6-Cylinder Engine and yet a Mustang feels slow... Much slower in comparison, even with a supercharged big block V8...? Porsche is overall more efficient, simple as that...! BTW, one can get battery cases for iPhones that will last at least 3-Days on normal usage... Apple is Apple... Android is Android... Both are the same yet widely different...! AND I LIKE BOTH FOR DIFFERENT REASONS! G'Day! Again, noobs! start to learn what is standby time and what is ACTUAL USE. SOT CAN NEVER BE ANYWHERE CLOSE vs S7 edge. @ trojan_horse This is the main reason why I switched from android to ios. In android world you only look at numbers . What happens in the real world matter more . Why should I worry if my iPhone SE is only 1600mah and not 3000mah. It can beat the s**t out of most of flagship mobiles present right now. iPhone is all about excellent user experience with balanced specs and powerful performance. You get everything in decent numbers. Android world is all about false claims . Who has more ram, more battery , more megapixels. Mobiles having 6GB RAM perform Inferior to another mobile with 2GB RAM. I do not want to live in false world. You are welcome . The iPhone SE has a 4" and sub-HD screen, so it can't offer a great multimedia experience like the 1080p Galaxy S5, let alone any Quad HD Android flagship. I bet you that, if the iPhone SE had a 5.5" screen with the same low resolution it has, it would have a shorter battery life that the 4" iPhone SE. Bigger screen consumes battery. Quote: "Why should I worry if my iPhone SE is only 1600mAh and not 3000mAh" Oh, the iPhone SE c with 4" and 1600mAh scores 73hrs at GSMArena, the 5.5" QuadHD S7 Edge scores 98hrs! Does your iPhone SE beat that? Besides, the iPhone SE is by no means a flagship, so comparing it's battery life to the S7/Edge is irrelevant. All right, I believe you, Trojan... Samsung is better than Apple... Apple is exactly what you say, a heap of garbage that costs $800... And Samsung is THE GOD SEND... A gift from the heavens that's PERFECT in every single regard... J believe you... I believe each and every single Samsung Sheep, Fanboy and Cowboy... Now what...??? ??? ? 'Day!